KUALA LUMPUR: The Ministry of Finance (MoF) expects the number of healthcare travellers to increase significantly to two million by 2020 from the current one million, following the tax exemption for medical bills. 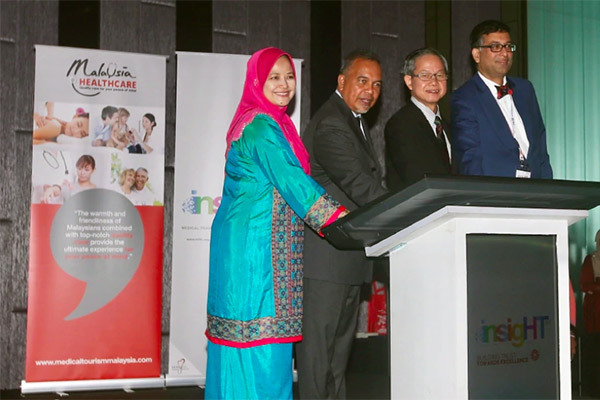 Deputy Finance Minister Datuk Ir Amiruddin Hamzah said previously the six per cent Goods and Services Tax was imposed on medical bills for foreign patients but these are now exempted from the Sales and Services Tax (SST) 2.0. “Medical cost is the second most important factor behind confidence for medical tourists. “Medical cost in Malaysia is competitive and this (the cost) will benefit from the SST exemption on medical bills,” he told reporters after officiating the Medical Travel Market Intelligence Conference (InsigHT) 2018 here today. Also present were Deputy Minister of Health Dr Lee Boon Chye and Malaysia Healthcare Travel Council Chief Executive Officer Sherene Azli. Earlier in his speech, Amiruddin said Malaysia earned RM1.3 billion in medical traveller revenue last year, with an estimated RM4 billion from other non-related healthcare expenditures such as transportation, accommodation and tourism activities. The government hopes to double this figure to RM2.8 billion by 2020, he said. He said the industry recorded an astounding annual growth rate of between 16 and 17 per cent every year, outperforming the global average growth rate per annum of 12-14 per cent.